Since my daughter and my better half go to their work with their lunch boxes, i have to plan their lunch mostly with variety of one pot meals. One of my recent trial is this bellepper and red radish fried rice with leftover mango pickle thokku.Cooked rice when sauteed with chopped bellpeppers,chopped red radish spiced with mango pickle thokku makes this mildy spiced,easy breezy and very delicious pickled fried rice. Trust me, this pickled fried rice will tickle your tastebuds,definitely a quick fix. You can make this fried rice with varieties of vegetables or simply with paneer cubes. Heat the oil and saute the vegetables together, dont overcook the vegetables. Add the pickle thokku, cook for few minutes. Now add the cooked basmatic rice, toss everything gently. Check for salt, if needed add the salt else skip it. Serve with potao chips or papads. So innovative and also mouth watering recipe. Really when i saw the photos i planned to try his one pot meal. 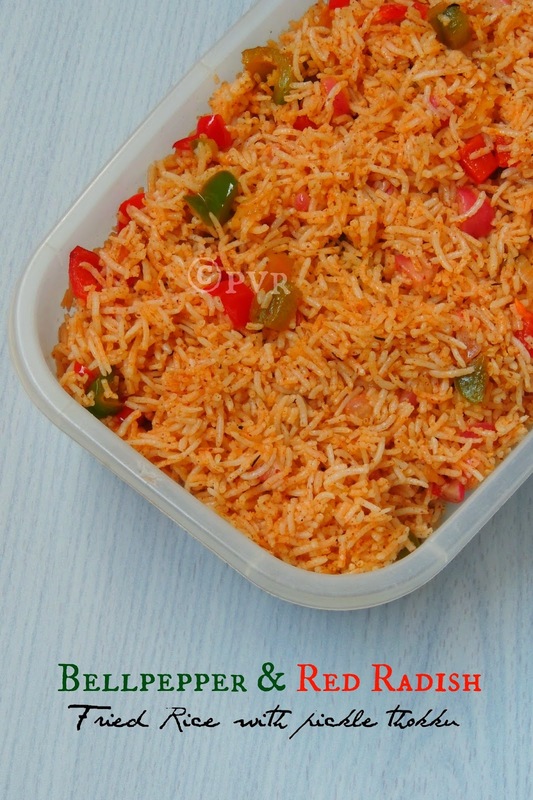 Wow, the rice looks awesome and with very simple ingredients, superb Priya..
Wow.. 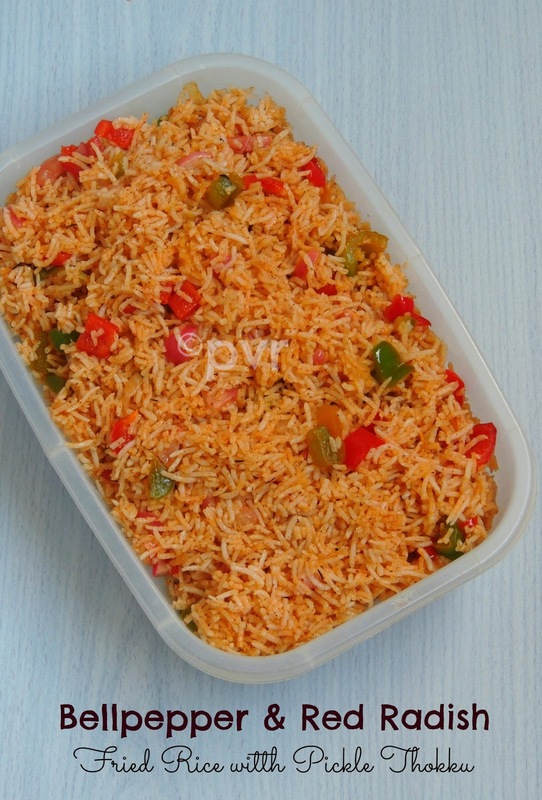 Tempting rice.. I'm a fan of mango pickle & this recipe is making me very hungry..
Wow...its really very flavourful rice akka....delicious! Good use of thokku and a great addition to lunch box recipes.